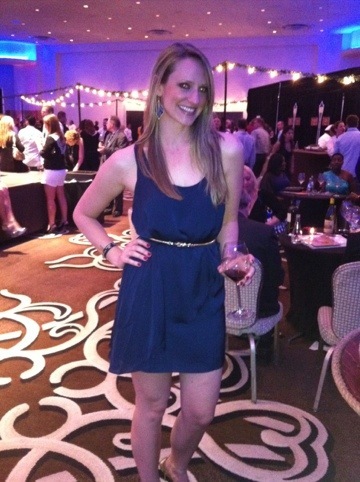 I had the privilege of being able to attend an event for the SOBEWFF this past weekend. All I can say is: AMAZING! This annual festival hosts a smorgasbord of chefs, celebrities, and fantastic parties! Going back to the broke school teacher lament, I’ve never attended because the tickets for each event are ridiculously expensive. Luckily for me, I got invited to probably the best event of the weekend: Wine Spectator’s Best of the Best at the Fontainebleau Resort on Miami Beach. Yowzaaaaaaa! The concept of the event was to have tastings from restaurants from all over the country and have them paired with wine that scored a 90 or above by Wine Spectator. I must admit that the room was a bit too packed and it was all quite overwhelming, but the food was exquisite. Sashimi, filet mignon, beef heart, duck cracklings, foie gras–it was decadence all around. 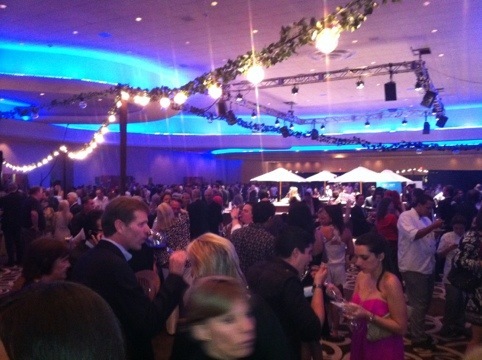 Heavenly…..
Another hot ticket event for the weekend is the Grand Tasting Tent which is actually located on the beach. Here, festival goers can see cooking demos, try wine and food, and meet with the chefs. I’d like to try this next year because I’ve heard great reviews. It’s a nice day time activity. Here are a couple photos I took with my iPhone. Not great quality but you can get the idea…. ← Organic fruits and veggies!! Looks like an amazing night!! !